Hello Crafty Friends! I don't have a lot of masculine cards in my stash for birthdays. I pulled this fun set from A Muse Studio to use for today's Tuesday Throwdown challenge. Our sponsor is Freckled Fawn and the challenge is "Masking." I started off by stamping the bear then creating a mask for him. I created a mask for the balloons and started stamping them in various colors. I had to freehand some of the strings attached to the balloon because the image wasn't long enough for me to stretch the strings past the bear's paw. I then cut out the clouds and sponged blue ink around the edges and popped them up using foam tape. 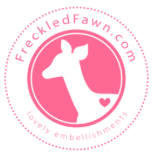 It's time to head on over to the TT blog for more DT inspirations and enter to win a fun prize package from Freckled Fawn. Tuesday Throwdown is also looking for a couple of stampers/papercrafters to join our team. If you're interested please e-mail me with your blog and contact info. We are looking to add new members in September. That bear is so stinkin' cute! Great masking on the balloons too. Thanks for playing at AAA Cards. Oh so cute and beautifully done. Nice work. Love this. Super masking on the balloons. Thanks for playing at AAA Cards. Your card made me smile! What a super cute image and layout. . Thanks for playing with us at Dream Valley Challenges! A fun card. Great image and colors. Adorable card! Thank you so much for joining us at Polkadoodles Digi Choosday and best of luck with your entry. Very clean, no fuss. I love it. 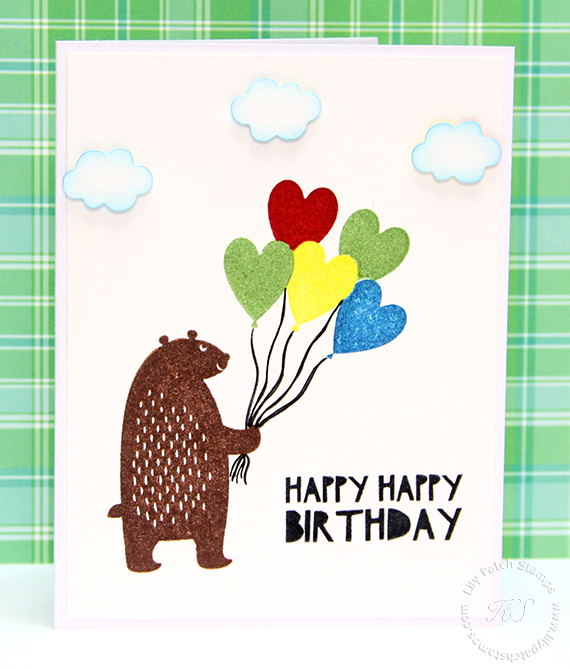 Great card and what a fab bear image! Kind of primitive and artsy all at the same time. Thank you for joining us at the Crafty Sentiments Designs challenge, good luck and I hope you'll be back again soon. Love the bright colors you chose for this. They really make this CAS design pop and make the card so cheerful. Thank you for playing along at Crafty Sentiments Designs for our For Someone Special challenge.